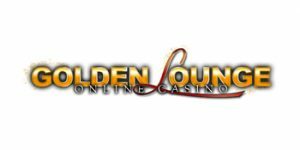 Launched in 2008, Golden Lounge Casino offers fans of casino gaming a glitzy online gambling experience reminiscent of Las Vegas and Monte Carlo. In addition to such exciting glamour, players can look forward to generous bonuses and an extensive collection that many a competitor would have a hard time matching: it has more than 500 games in its collection. In addition, Golden Lounge Casino provides three deposit bonuses rather than just one and also provides regular promotions and efficient customer service. The 32Red Plc. owned establishment also places great concern on issues of player safety and security and is licensed by the Gibraltar Licensing Authority (GLA) and regulated by the Gibraltar Gambling Commissioner. Golden Lounge Casino’s games collection is powered by Microgaming. As a result, players can be assured of the presence of a Random Number generator to ensure the fairness and reliability of every game on the website in addition to their stunning graphics and realistic sound effects. In addition to casino staples the virtual casino also provides a live casino featuring live blackjack, live roulette and live baccarat enabling visitors to enjoy a traditional casino experience from the comfort of their homes. Slot machines are also featured and with a catalogue containing over 500 games, visitors to the website are bound to discover a range of games which will make their visit a worthwhile one. Golden Lounge Casino offers new clients a Welcome Bonus for each of the first three deposits they make: The First Deposit Bonus is 100% of up to $/£/€100 while the Second Deposit Bonus is 25% for up to $/£/€50 and the Third Deposit Bonus is 50% extra up to $/£/€50. Registered members can also participate in the $250 Daily Freerolls free of charge and win prizes of up to $75. They are also eligible for the Golden Lounge Bonus Wheel which provides them with the opportunity to win a casino deposit bonus every day. The Golden Lounge Casino is licensed by the Gibraltar Licensing Authority (GLA) and regulated by the Gibraltar Gambling Commissioner and is required to adhere to strict guidelines as a result. The casino employs the latest security available in order to protect confidential client information. Golden Lounge Casino is an eCOGRA approved website and upholds the standards required for the approval of the independent regulatory body. The casino also ensures the fairness of its games’ results through the use of a Random Number Generator. Golden Lounge Casino accepts players from the United Kingdom, Austria, Denmark, Finland, Ireland, Italy, Portugal, Japan and Sweden although access is prohibited to residents of the United States. Once clients have accessed Golden Lounge Casino’s members’ area, they will be able to immediately make deposits into their player accounts which are processed instantly and play any game of their choice. They will also be able to see what bonuses and special offers they are eligible for and access customer support in the event of any issues arising. Golden Lounge Casino has endeavoured to place all that they require for an enhanced gaming experience and all they have to do is take the plunge and make use of the features provided to enjoy their time spent on the website. MasterCard, Visa, Visa Electron and Maestro (no charges are issued by the casino although credit card providers may issue charges for processing transactions. Deposits are instant while withdrawals are processed between 3-5 business days). PayPal (no extra charges are issued by the casino. Deposits are instant while withdrawals are processed between 3-5 business days). Neteller (no extra charges are issued by the casino. Deposits are instant while withdrawals are processed between 3-5 business days). Ukash (No additional charges are made; both withdrawals and deposits are processed instantly). Wire transfers (the casino issues charges for withdrawals made below the minimum amount according to the currency used: £5.00 (British pounds), $10.00 (US Dollars), €10.00 (Euros), $10.00(Canadian Dollars), ¥1,000 (Japanese Yen). Additional information on the full range of payment methods may be obtained by clicking on the link provided: http://www.goldenlounge.com/banking/banking.html. Golden Lounge Casino’s five tier loyalty system ensures that players are richly rewarded and can earn increasingly impressive perks by playing on a regular basis. It consists of five levels which correspond to topaz, sapphire, ruby, emerald and diamond respectively. Each level requires the accumulation and maintenance of a basic number of points on a monthly basis failing which the client will be placed in the level directly below the one they currently occupy. Specific percentage bonuses can also be earned for every bet wagered. Points can be converted into cash once a sufficient number of them have been accumulated ensuring that loyal and active players reap the rewards of their dedication. Registered clients at Golden Lounge Casino are permitted to make a minimum withdrawal of £/$ /€/ CAD/AUD/10 (for wire transfers this amount is £/$ /€/ CAD/AUD/100) and a minimum deposit of £/$ /€/ CAD/AUD/20 while the maximum withdrawal they are permitted depends on the payment method and even national currency used. Examples include: Ukash (£200.00, €250.00, $300.00, CAD$ 300.00 and AUD$ 300.00) and NETELLER (£5,000, €5,000, $10,000, CAD$ 5,000, AUD$ 5,000). Clients who prefer to communicate via email can do so [email protected]. Documents for verification purposes or enquiries can also be sent by fax. Golden Lounge Casino is renowned for its extensive, high quality, games collection as well as the fairness of its policies which ensure that its services are implemented in accordance with the existing guidelines specified by its regulatory body, the Gibraltar Gambling Commissioner. The fact that the website is only available in English may discourage casino game fans who do not possess a sufficient level of proficiency in the language in order to enjoy the casino’s services. Golden Lounge Casino welcomes clients from Europe and Asia and possesses an extensive games catalogue which is capable of ensuring that its clients enjoy an entertaining experience. It also provides robust customer service and an impressive welcome bonus scheme which covers clients’ first three deposits as well as a loyalty scheme to reward regular players.